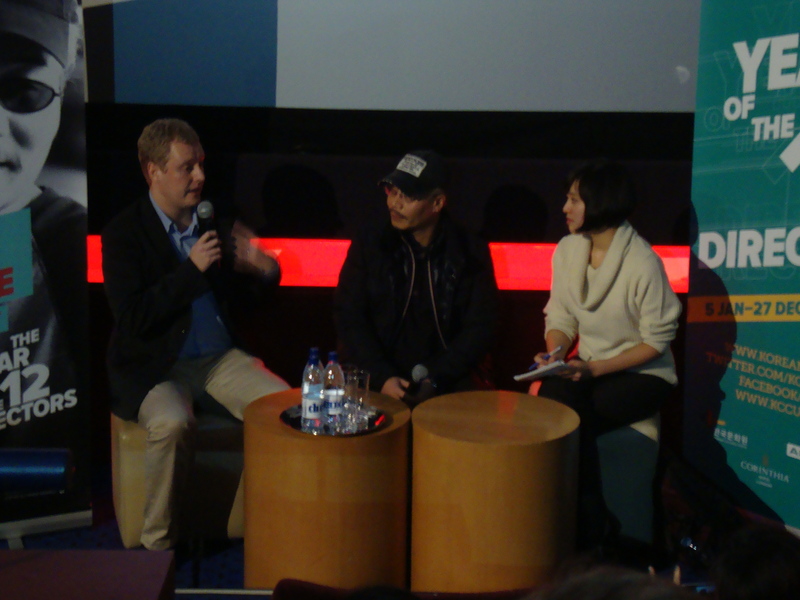 On Thursday the 26th of January, the Korean Culture Centre in London held the first of twelve planned Q+A film nights with legendary Korean directors. 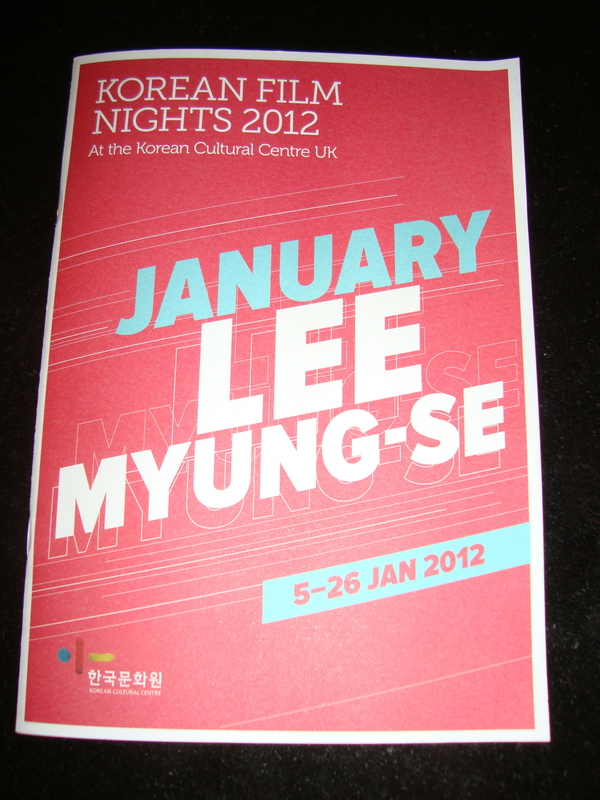 For January’s edition the director in question was Lee Myeong-se (이명세) in conjunction with his 2005 film ‘Duelist’ (형사). Presiding over the event was Dr. Daniel Martin who introduced both the film and the director, giving the history and context to Lee Myeong-se’s (이명세) illustrious career and auteuristic sensibilities. The film was very well-received by the audience, and during the following Q+A Lee Myeong-se (이명세) was in good humour throughout and very entertaining. Dr. Daniel Martin began the Q+A with some questions about Lee Myeong-se’s (이명세) career, and particularly the actors that he has worked with. The director replied that he wanted to work with Ahn Seong-gi (안성기) as the actor had a very strong image as a good man in Korean cinema, and that his roles were limited due to typecasting. Director Lee wanted to change that and play with such preconceptions and cast him in Nowhere to Hide. In addition, Director Lee also cast his own mentor in a comedic role, as he had always had ambitions to be an actor; yet his mentor later revealed the role reversal, where Director Lee had to give instruction, had made him rather uncomfortable. In regards to using younger actors, Director Lee said he was impressed with Ha Ji-won’s (하지원) TV drama work and Kang Dong-won (강동원) had acted well in a prior film and had the ‘look’ he wanted. For his next project, Director Lee stated he is planning an action film titled ‘Mr. K’ and jokingly claimed that it will surpass the James Bond films. When asked about why he is concerned with the artificiality of cinema rather than attempting to achieve realism, Director Lee answered that he didn’t watch films when he was young which he is now grateful for as he wasn’t exposed to the conventions of cinema. Instead he is inspired by poetry and other creative works in discovering ‘what makes a film’. In regards to the wide variety of music from other cultures and eras within ‘Duelist’ (형사), Lee Myeong-se (이명세) replied that if he likes music and it fits with his vision within a film, then he will use it regardless of faithfulness to an era. Quizzed about his own martial arts prowess, Director Lee explained that he, like all Korean men who have undertaken military service, is a black belt in Taekwondo. However if he were to give a display, it would be highly comedic. Following this, the director very kindly gave autographs and pictures to those who attended – including me! 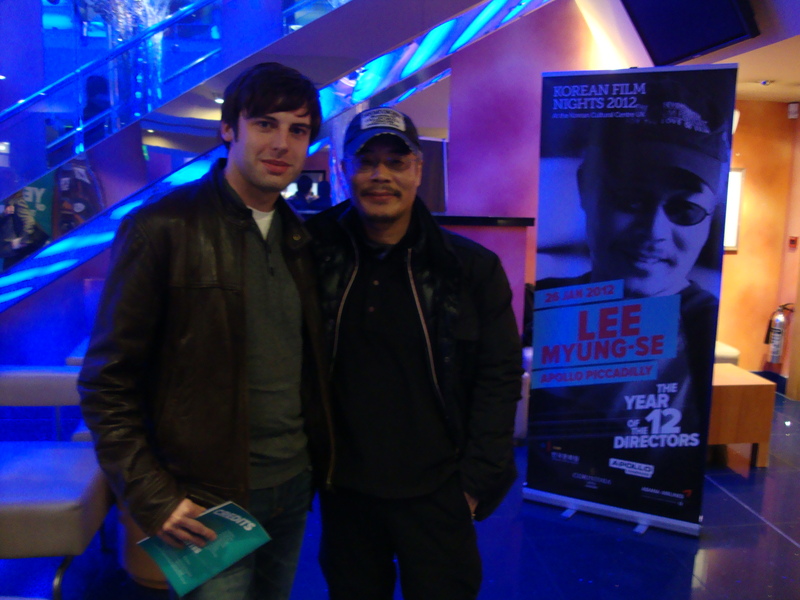 Me with director Lee Myeong-se! Next month, the Korean Cultural Centre will be dedicated to director E J-yong with the Q+A to be held on February the 23rd alongside the screening of his 2009 film Actresses (여배우들).